For the last two years I have been using a clipchart (read about it here). 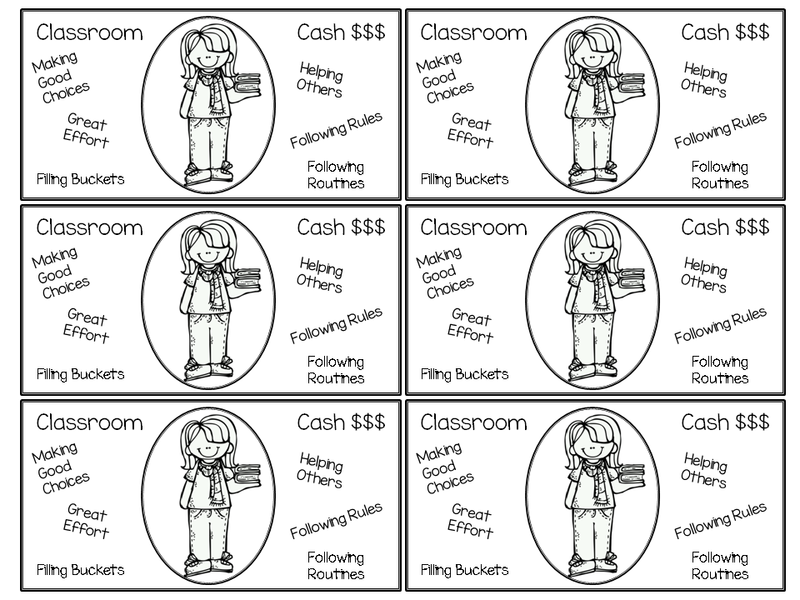 Earlier this week I did a home visit for a student that will be coming to my class and was informed that this system will NOT work for her - that a classroom token economy system would be better. I have done a classroom economy for a number of years (read about it here) but tried moving away from it the last two years. I still used it before Christmas (read about it here) and at Easter (read about it here) and do really like it - I just find it can be a little expensive. We are going to keep our money in these pencil cases I picked up at The Dollar Tree. I have used envelopes before and putting it in a folder in our desk - but again with the little ones, I wanted something a little more concrete for them to use and that would be less likely to get lost in their desks. I am making labels for them - just as soon as my class list is finalized!! This is my treasure box. I bought it years ago at IKEA. I hope to have school related items as well as a few dollar store treats. Just need to find the lock - somewhere in the pile of boxes and bins!!! Eeek!! I can not believe this is it - the last week of summer holidays. Which everyone knows are not really holidays at all but full time prep work!! I want to share a few of the things that I have bought for my classroom. 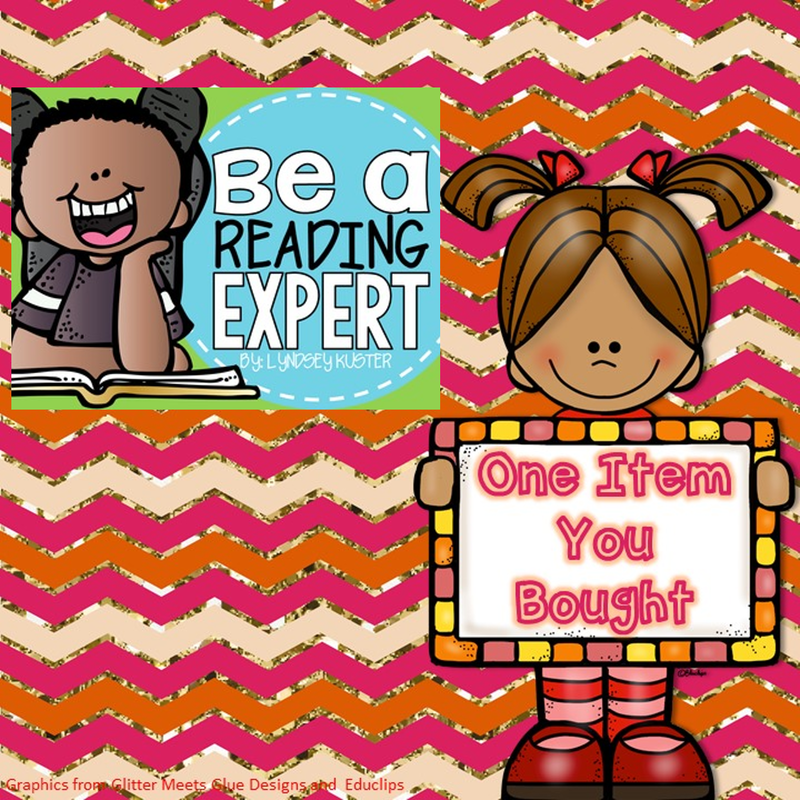 I'd love to see what you have bought for your classroom (or you!) 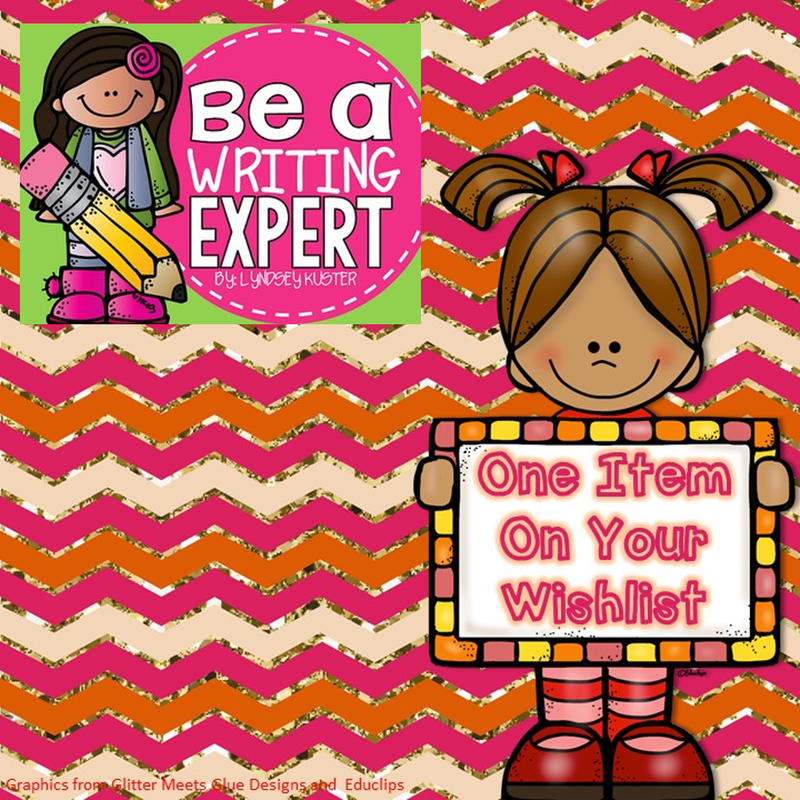 too - so be sure to grab the button and link up or leave me a comment with some more shopping ideas!! First up. I bought some id clips for my bathroom/hall passes. I bought the pack of 12 at Walmart for $2.00. Students will clip the passes onto their shirts - hopefully - I am not sure how long it will take use to learn this procedure - we may have to move lanyards!! But hey, $2.00 is not bad!! If you want a copy of the passes, click here, you could use clips or lanyards or put them on the outside of hand sanitizers. Next up, I bought these baskets. I am using these baskets for themed picture books. I have limited (read - very, super, limited) shelving in my new classroom and need to find alternate ways of displaying the gazillion books I like to have available for my students. They will be on the floor in our reading area. Here are the first two theme baskets. Lastly I bought these spinners. I bought these through Scholastic using my bonus points. 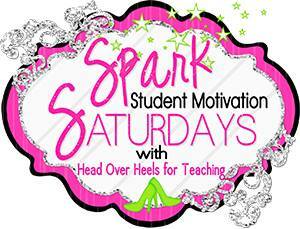 I first heard about these from my friend Joanne at Head Over Heels for Teaching. I plan to use them for anything and everything. Making words (starting letters, word families), math (add the numbers the spinner lands on, write a question for the answer we land on) and just for fun!! Spinner in action on our freezer - I am sure the students will love this!! 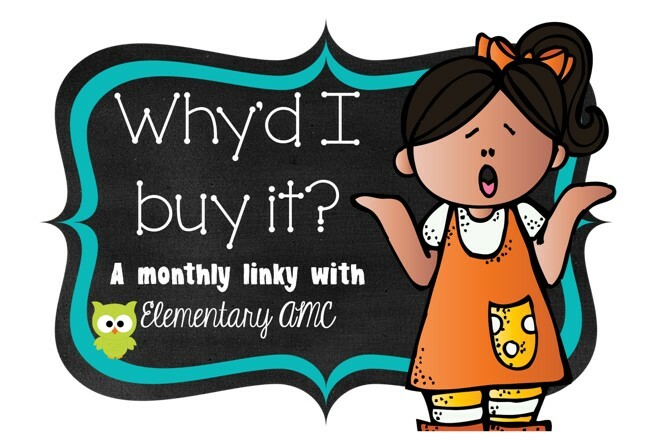 I'd love for you to link up - if you do be sure to stop be some of the other blogs to see what they bought and give them support for their purchases as only other teachers can!!! I remade my shared writing journals for my new class. I glue on the cover then cover with packing tape to add durability. I put writing prompts and a checklist on the inside cover. I also use stickers - each journal has a matching sticker. Students have a tracking page they put in their language notebook and each time the write in a journal they place a sticker on their page. You can check out my journals here at my TPT store. I was talking to one of my teaching friends about binder covers and how she could not find any that she really wanted so I made some to see if they were more what she wanted. They are chevrons and owls and are editable and a freebie - you can pick them up here in my TPT store. A READ sign for my room. Actually my daughter made this while my other daughter and I were laminating and cutting!! 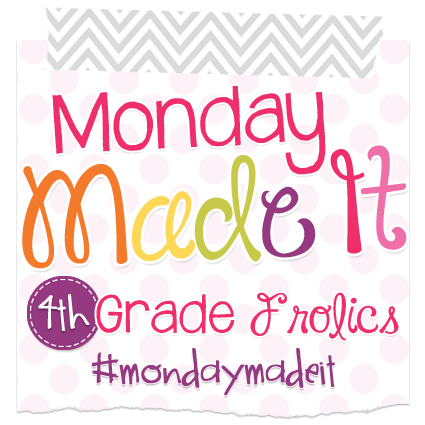 I love these letters and have loved these buttons from Dollar Tree - so I put them together - love how it turned out. 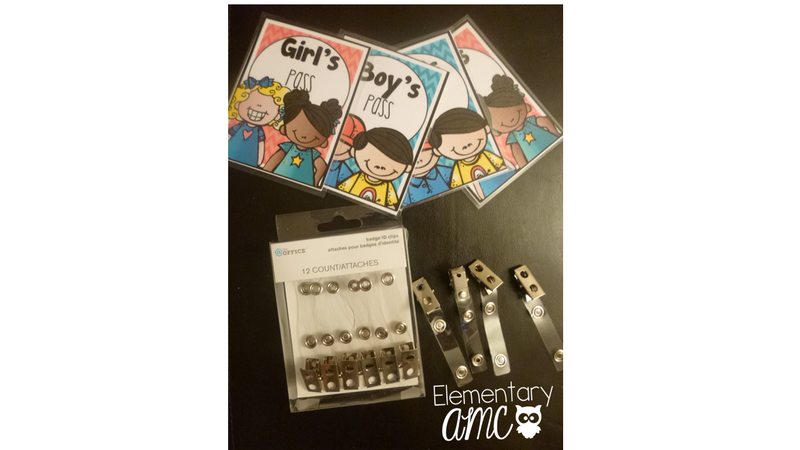 I especially love it because I plan on picking up these Bloom's Buttons questioning cards at the TPT sale on Wednesday. 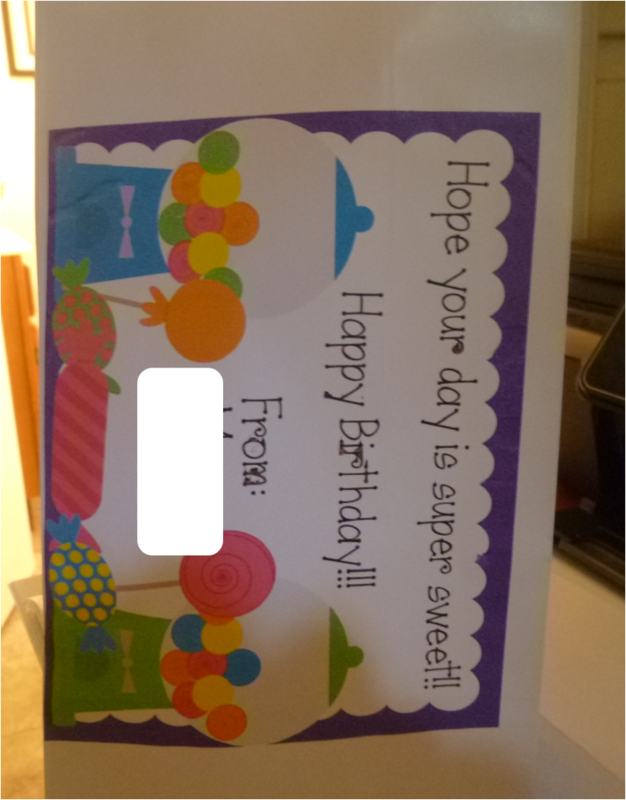 I also made birthday bags. I made a picture image I liked and printed it onto bags from the dollar store. I am putting in some small items into each bag (pencil, eraser, sweet treat). If you want the picture I used you can right click on the image to save it. Insert it into a PPT file to add text. To print it on a bag I inserted the image, rotated it, resized it slightly and placed it against the left margin a little higher than half way up the page. Place the bag on the left hand side of the printer and voila -you are all set. They would also be cute as a small card or postcard or birthday tag! Lastly we laminated and cut and laminated and cut. Here are the word wall cards I will be using (click here to check out where I got them) and my schedule cards (from this pack). Okay this is it for me - off to check out my to do list - well after reading a few MMI blog posts of course. I know it has been a while since I have blogged, but it just sort of feel to the bottom of the to-do list and I have been having a very hard time crossing things off that list. I always find the easiest way to get back into blogging is to join a great linky. So I am joining up for Five for Friday with Doodle Bugs Teaching. We took a vacation to Ottawa and had a fabulous time. Stopped and visited friends and family. Took tours, walked, ate, walked, swam, ate, drank and toured! Parliament Hill during the day! Amazing light show on Parliament Hill at night!! I made some colour words for my classroom. Last year I posted the colour words from Rachel Lamb that I love and hope to post later in the year but needed something a little simpler to start this year off. Click here for a copy. 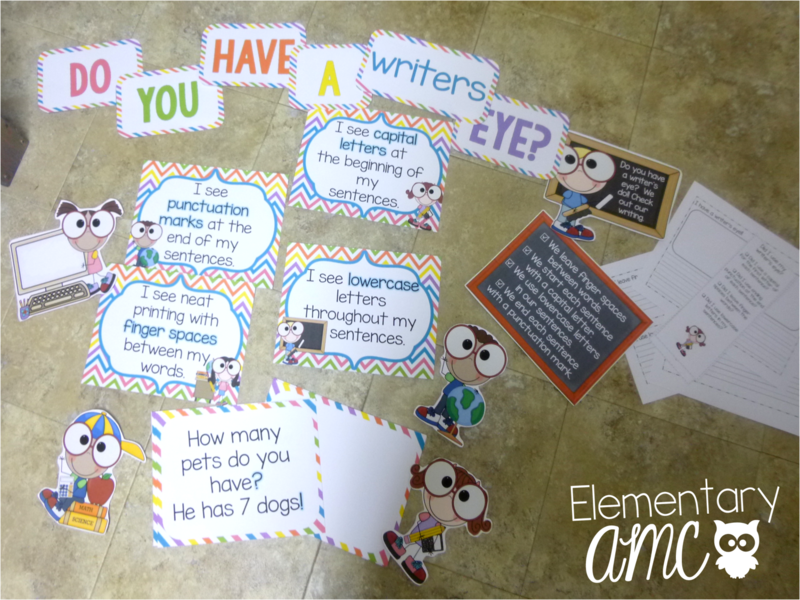 I updated my Writer's Eye bulletin board pieces (based on an idea that originally comes from here!) to match my classroom colours. I also updated my editing bookmarks and made a little writing activity to go with it. You can check it out here in my TPT store. I made number posters for my classroom. I am really happy with how they turned out. They have the numeral, word, ten frame, tally and base ten block. 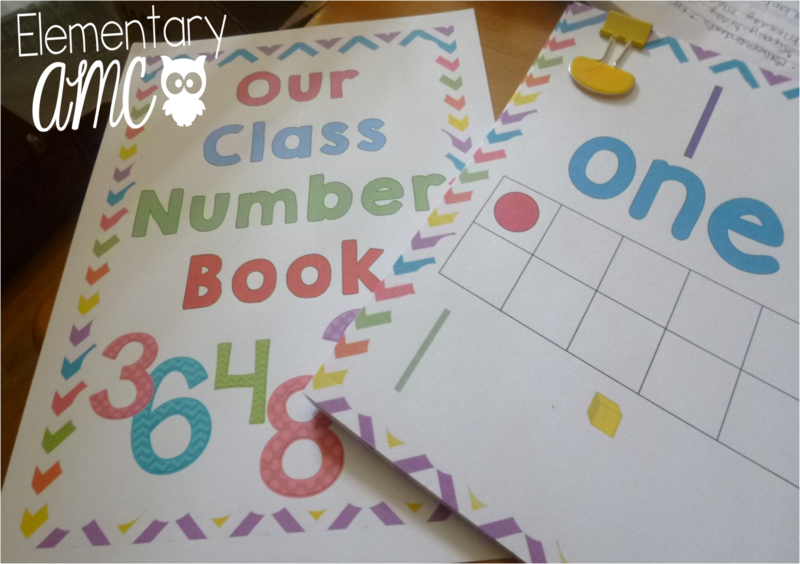 I also made a class book cover to go with them - I will be having my students create their own number posters with a partner and putting together a class book - so that they have both my versions and they examples we co-create as a class. I am not sure if they will create it on an 8.5 x 11 page or if I will give them a chart paper and just take pictures of their work and insert into the frames....still thinking. I just want to give them a lot of room and options for representing their number. You can check them out in my TPT store. Lastly...it has happened. I have become a nervous wreck about school. I found out that we will most likely get into our new school sometime the week before school starts (September 2nd) but not what day that week. We may have to wear steel toe shoes and hard hats. I am just not sure how it is all going to work out - all of the supplies and furniture and technology being delivered and set up and all of us moving our stuff in and setting up and planning. I go to bed late thinking about it and wake up early thinking about it. I am trying to enjoy this last bit of summer but every day it gets a little bit harder! !